User generated video content has become increasingly popular, with a large number of internet video sharing portals appearing. Many portals wish to rapidly find and remove objectionable material from the uploaded videos. This paper considers the flagging of uploaded videos as potentially objectionable due to sexual content of an adult nature. Such videos are often characterized by the presence of a large amount of skin, although other scenes, such as close-ups of faces, also satisfy this criterion. 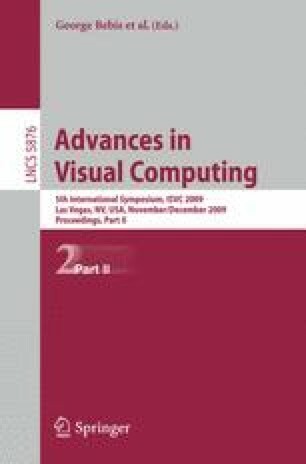 The main contribution of this paper is to introduce to this task two uses of contextual information in the form of detected faces. The first is to use a combination of different face detectors to adjust the parameters of the skin detection model. The second is through the summarization of a video in the form of a path in a skin-face plot. This plot allows potentially objectionable segments of videos to be found, while ignoring segments containing close-ups of faces. The proposed approach runs in real-time. Experiments are done on per pixel annotated and challenging on-line videos from an on-line service provider to prove our approach. Large scale experiments are carried out on 200 popular public video clips from web platforms. These are chosen from the community (top-rated) and cover a large variety of different skin-colors, illuminations, image quality and difficulty levels. We find a compact and reliable representation for videos to flag suspicious content efficiently.